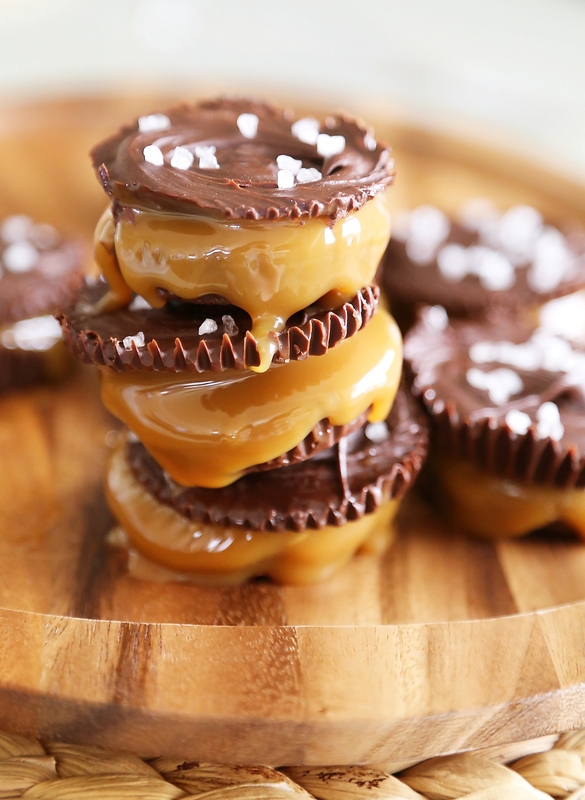 You have got to try these dark chocolate cups with irresistibly creamy, rich caramel sauce and sea salt! They are the perfect sweet to satiate a chocolate craving, and fun for parties. You can even make them mini! 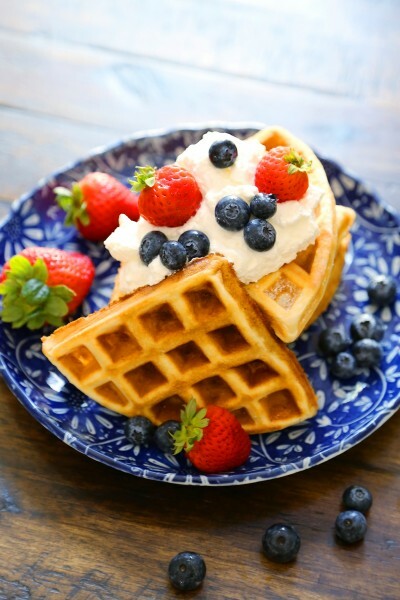 Have I got something for your springtime sweet tooth! These super rich chocolate cups with decadent caramel sauce are unbelievable. 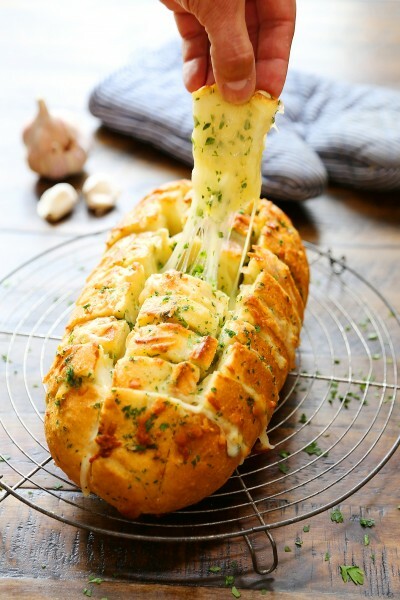 What makes them so good? First off, they are fun to make, and easy for little ones or friends to join the fun. 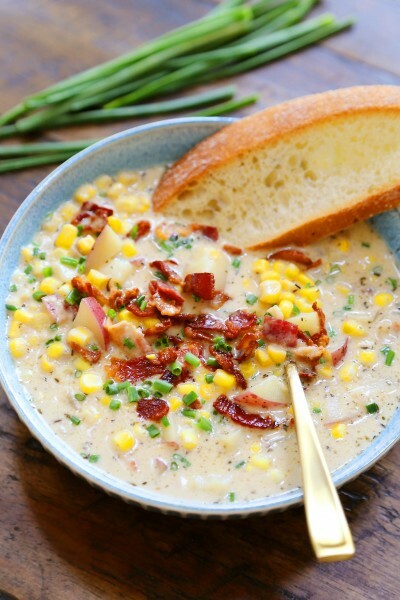 They are kind of like an art project and a recipe all in one! 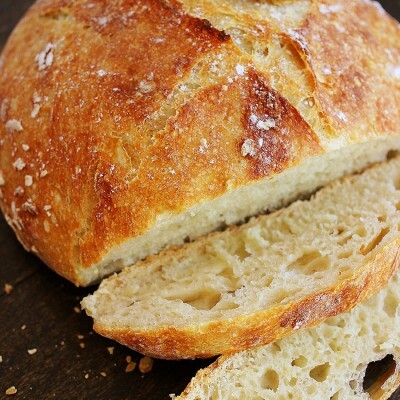 Secondly, they only require four ingredients that you may even have in your pantry. And finally, well, look at these beauties! They are just begging you to grab one, a cold glass of milk, and a pile of napkins. But don’t forget to share! Easier said than done, I realize. 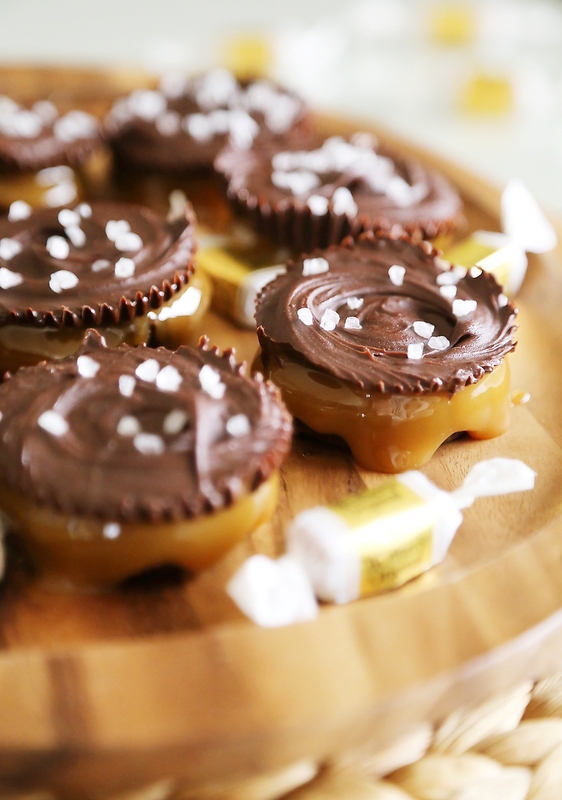 I created these awesome chocolate caramel cups in partnership with Werther’s Original Caramels, a longtime favorite of mine for caramel indulgences, when the craving hits. Which is more often than I’d like to admit! 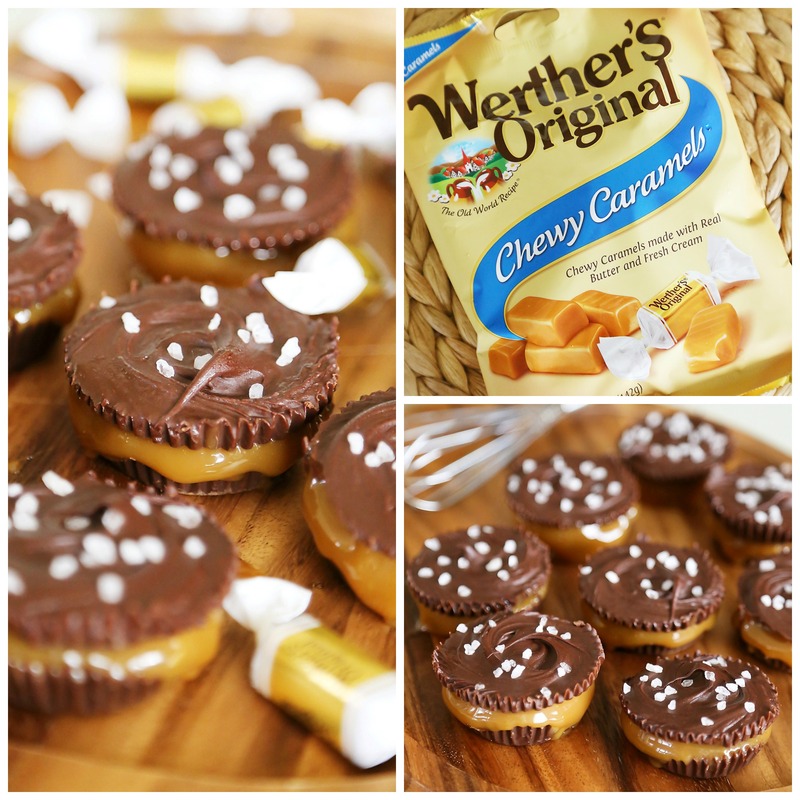 Werther’s has always been the best-of-the-best in my book, and I love snacking on their sweet, creamy caramels and using them in both baked and no-bake treat recipes. I was thrilled when Werther’s asked me to collaborate with them for National Caramel Day, April 5, which they celebrated by scooping into an enormous bowl of caramel candies for lucky passerby in New York City’s Time Square! Oh, how I wish I had been casually strolling New York City and ran into a giant container of luscious caramels! Want the scoop? 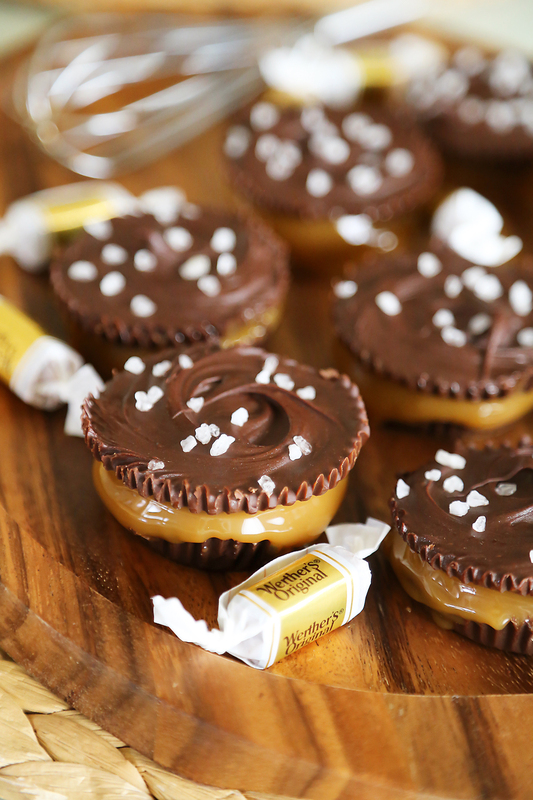 The Werther’s Soft Caramels are the newest addition to their lineup of caramels, and I cannot wait to use those in future cookies, brownies, sauces, and candies, like these irresistible and easy chocolate caramel cups! 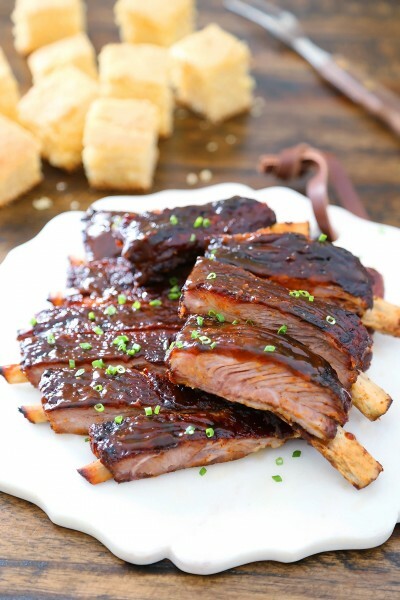 For this recipe, I used their melt-in-your-mouth Chewy Caramels, which melted into the most perfectly creamy, gooey caramel sauce with a touch of heavy cream. I had trouble not licking the spoon before pouring the caramel into my muffin tin chocolate molds! 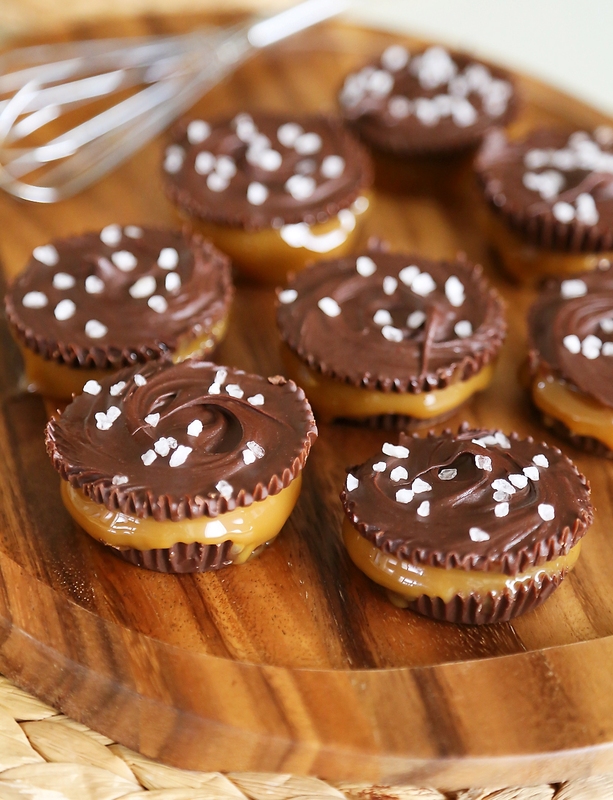 To make your own chocolate caramel cups at home, you only need a couple cups of semisweet chocolate chips, the chewy caramel candies, coarse sea salt and a muffin tin. I used a standard-sized muffin tin for these treats, but you can also make them mini in a 24-cup mini muffin tin. 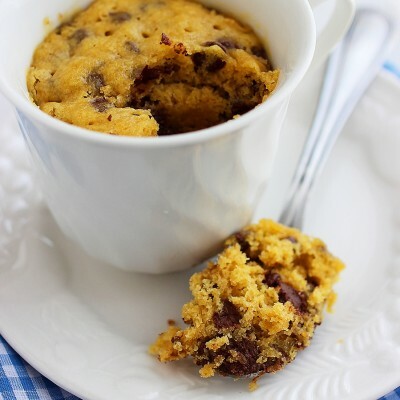 Simply dollop a tablespoon of melted chocolate into each muffin cup, and swirl it around to coat the bottom. To prevent the caramel from oozing out of the cups (as shown), you can paint the chocolate up the side of the muffin cups with a pastry brush or small paintbrush. 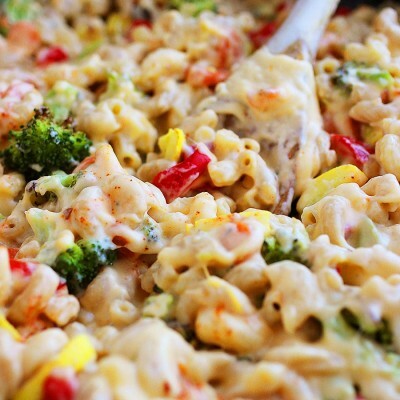 As you can see, I chose to forgo that option, but it tasted just as great… just a little more messy! Once your chocolate has set, spoon your luscious caramel sauce on top of the chocolate layer, and refrigerate for about 30 minutes to let it set. The last step is the top chocolate layer and a sprinkle of sea salt, let it set, then you are done and ready to indulge! Try these easy and delicious treats for any special occasion or a fun project with family, friends and kids. 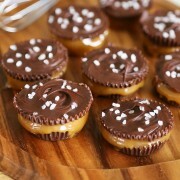 These chocolate caramel cups would also make a marvelous gift to spoil mom for Mother’s Day! Place paper liners in a standard-sized muffin tin. Spray with nonstick cooking spray. Microwave chocolate in a medium heatproof bowl, stirring every 20-30 seconds until smooth. 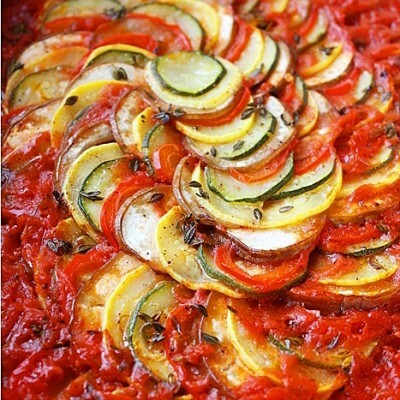 For a thinner consistency, whisk in 1-2 tablespoons vegetable oil or melted butter. Spoon and smooth about 1 Tbsp. melted chocolate into bottom of each lined cup (do not use all chocolate). Refrigerate at least 15 minutes to set chocolate before adding caramel. Meanwhile, make your caramel filling. Unwrap each caramel and place into a medium saucepan set to low heat. Add a couple tablespoons of heavy cream. Cook, whisking constantly, until caramels are melted and your sauce is the desired consistency. Add 1-2 additional tablespoons cream for a thinner caramel sauce. Spoon a heaping teaspoon of caramel on top of the chocolate layer; smooth out to coat sides. 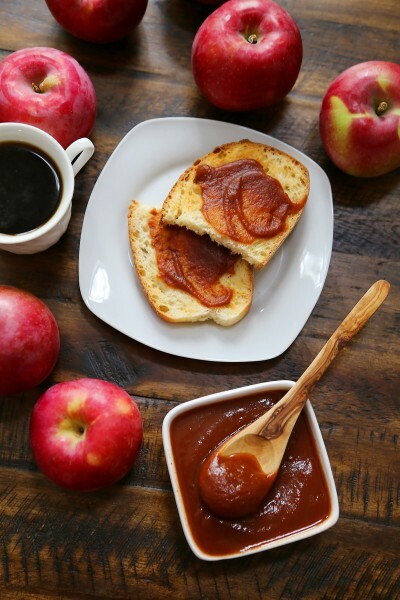 Refrigerate at least 15 minutes to slightly set caramel. Spoon remaining chocolate over caramel and smooth top to cover caramel layer. Sprinkle with sea salt. Refrigerate to set, about 1 hour. Store refrigerated or frozen in an airtight container. 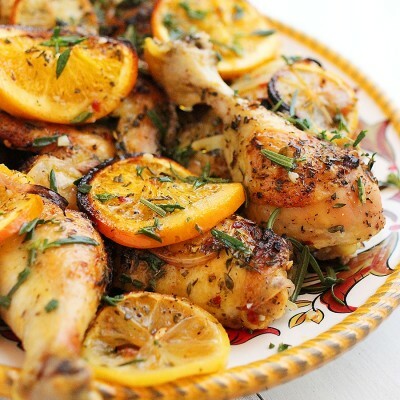 This recipe was sponsored by and created for Werther's. I was compensated for my time, however, all opinions are my own. There are definitely a lot of details like that to take into consideration. That is a nice point to bring up. I offer the ideas above as basic inspiration however clearly there are questions just like the one you deliver up the place the most important factor will be working in honest good faith. I don?t know if greatest practices have emerged around things like that, however I am positive that your job is clearly identified as a fair game. Each girls and boys feel the influence of only a moment’s pleasure, for the remainder of their lives.